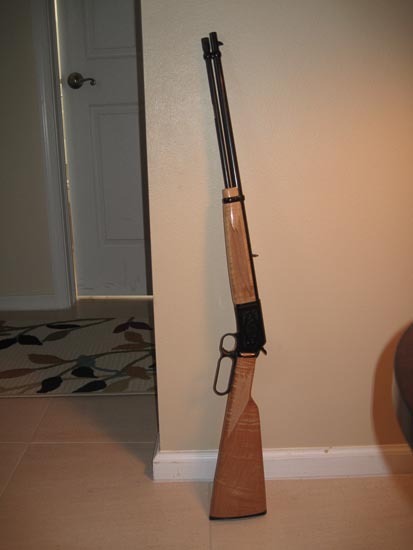 A few years ago, my wife got me a beautiful rifle for Christmas, a lever-action .22LR-caliber Browning BL-22 Grade II with Maple stocks. I love it. It’s the one “pretty” gun in my modest collection. Check out the gorgeous “flamed” Maple stock! Oh, baby! The Browning BL-22 comes with traditional open iron sights – “buckhorn” rear sight and simple post front sight, both black. To be honest, with my 53-year old eyes, I wasn’t very accurate with it. A worthy plinker, but that’s about it. In any case, I love the rifle. On an internet forum dedicated to rimfire guns, I learned about some hand-crafted aftermarket sights from a company called, Skinner Sights. Their sights use a rear “peep” sight, which is effectively a small aperture (standard is 0.096 inches, or 2.43-mm) that you look through, centering the front post sight in it. My order arrived very quickly. I followed the installation instructions on their website. You will likely need to order a front sight (that is taller than your original front sight) to work with the rear peep sight (that is taller than your original buckhorn sight). There is information on the Skinner website about how to choose a front sight with the correct height. I also researched it on some forums. In my case, it was the 0.600″ sight for my BL-22. When in doubt, err on the side of too tall, as you can file the front sight down, if needed. They tell you (in the instructions) to expect to do a small amount (a few strokes) of filing to get a good fit of the front sight into the dovetail mount. While I had to do a lot more than just a few strokes of filing on the front sight’s dovetail, the installation went very smoothly. I recommend getting the special “safe side” triangular file with the teeth removed on one side, available from Skinner. Get the sight adjustment punch, too, if you don’t already have one. Front sight (0.600″) installed. I painted the face of the sight with Blaze Orange paint (available in a pen from Skinner Sights on their Special Items Page). The rear sight just slides on to the grooves on the receiver and is then secured with a hex screw tightened with an allen wrench. Easy-peasy. If you’re not comfortable wrenching and banging on your gun, you can find a local gunsmith to do it for you. Rear “black and gold” (optional) Skinner peep sight installed. The Skinner sights look like they belong on my Browning BL-22 Grade II. Beautiful! I paid $120 for the sights (including the “black & gold” option for the rear sight). I do recommend getting the brass punch and the special file to make installation easier. I installed the Skinner sights last night. Today, I went to the local indoor range. I set the 1st target at 15 yards, and my first shot (off-hand) was dead center in the bulls eye! I couldn’t believe it. After I fired two more shots, I brought the target back to the bench and took a photo. 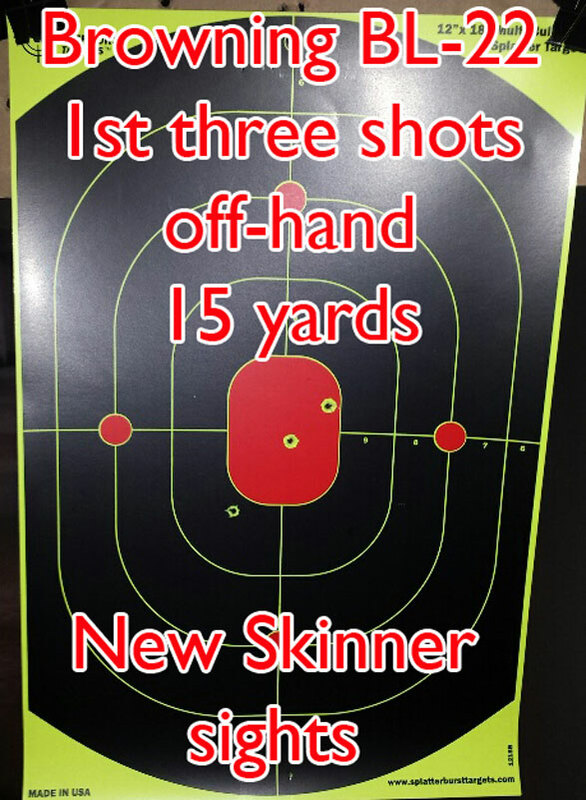 First three shots taken off-hand at 15 yards. I thought… Maybe I got lucky? So, I put the target back out and took a total of 30 shots offhand. Mind you, this was without ANY adjustment of windage or elevation after I installed the sights! I got lucky, I guess! 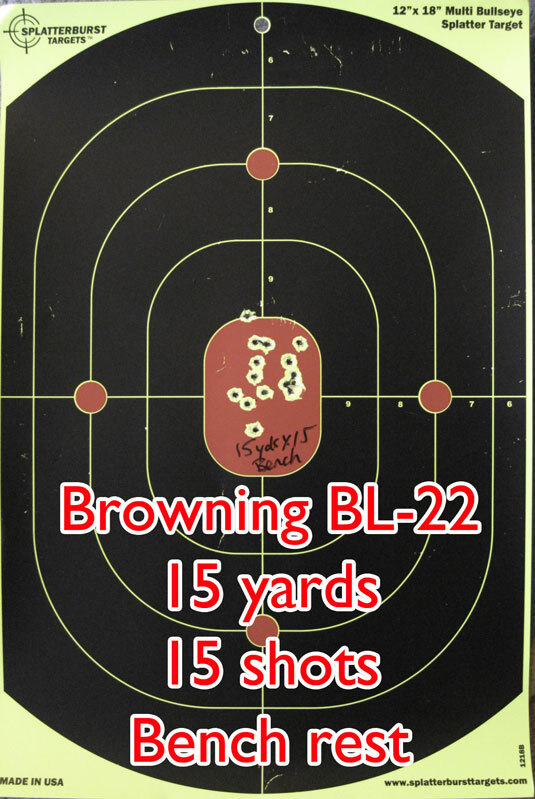 OK… let’s run a new target out to 25 yards (as far as I can go at the indoor range). Here is my first shot, off-hand at 25 yards! Booya! First shot, off-hand, at 25 yards! Yep… At this point, I’m happy with the sights as installed with zero adjustments to the windage and elevation! I’m really not usually this good! I certainly wasn’t this good with the stock open sights. Next, I ran the target back out to 25 yards and did this off-hand. Seeing better with aging eyes through a small aperture works the same way a smaller aperture increases the depth of field (range of focus) in a camera lens. 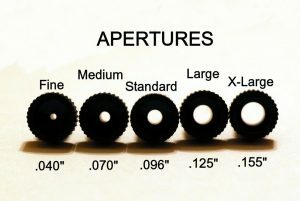 The smaller the aperture, the larger the depth of field. However, the smaller aperture admits less light. So, the amount of ambient light can limit how small you go. With less available light, you’ll need a larger aperture. The standard aperture that comes with the Skinner sight is 0.096″. It’s relatively large and suitable for most situations. The largest apertures (.125″ and .155″) are generally indicated for hunting and low light purposes. I got the smaller apertures from Skinner and took them to the range. First, I installed the Fine .040″ (about 1-mm) aperture. As soon as I took a look through it, I realized that it was too small / too dark for the lighting conditions of the indoor range. So, I installed the Medium .070″ (about 1.8-mm) aperture, and it was acceptable for the lighting conditions (but noticeably darker than the Standard .096″ aperture). 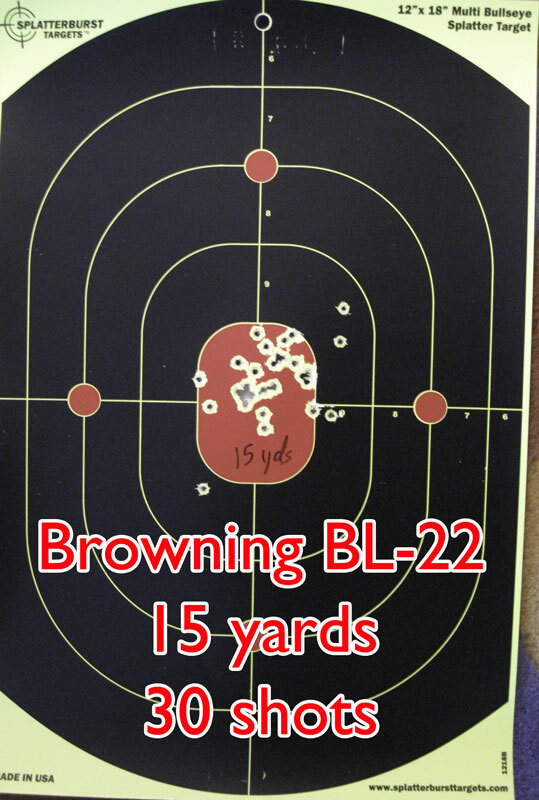 I used the Medium .070″ aperture for all of this range session (targets below). This time, I brought a proper bag rest to stabilize the rifle rather than the hard plastic molded “rest” built into the range bench. .070″ aperture. 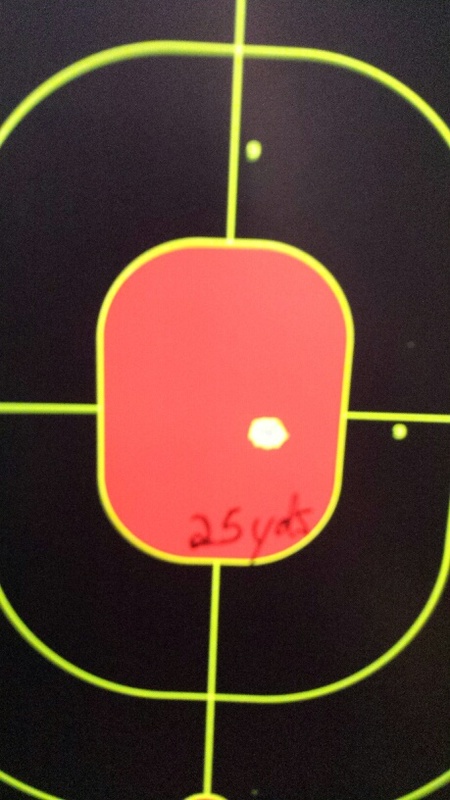 25 yards with bag rest. .070″ Skinner Sights aperture. Off-hand! .070″ Skinner Sights aperture. Pulling right for some reason at 25 yards, off-hand. .070″ Skinner Sights aperture. 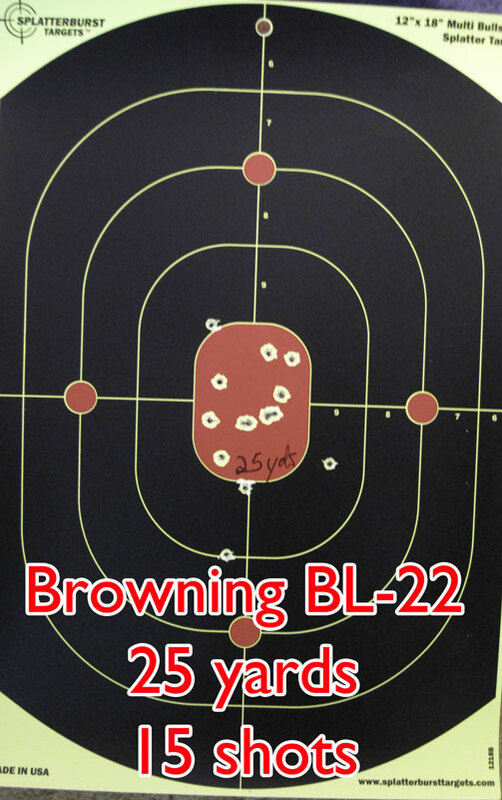 I always loved my Browning BL-22. 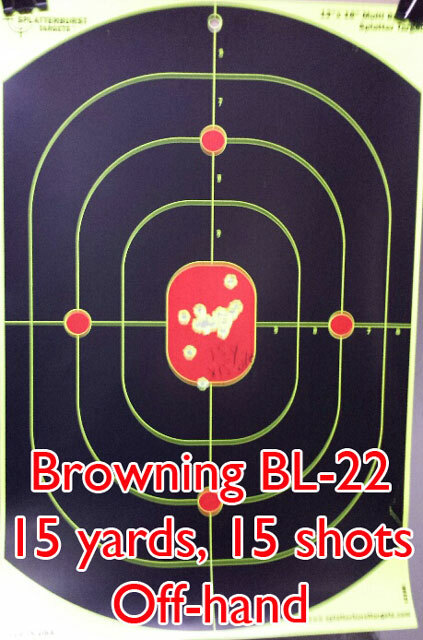 But, with Skinner Sights, I now love SHOOTING my BL-22. This rather simple and very elegant addition to my Browning BL-22 increased my enjoyment of it tremendously! I’ll admit to being quite surprised at the difference it made. If you’ve got a rifle with standard open sights, and aging eyes are making them a bit fuzzy, I highly recommend giving Skinner Sights a try! On the home page, you’ll see a navigation menu on the left for their products by category and gun manufacturer. There is a special page dedicated to rimfire rifles, too. 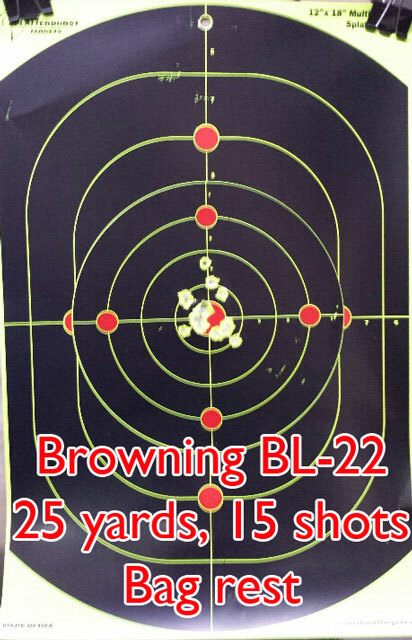 This entry was posted in Guns & Knives and tagged Browning BL-22 sights, Skinner peep sights, Skinner Sights. Bookmark the permalink. Oh… I was referring to the front sight, which uses the dovetail to retain it. The rear Skinner peep sight is clamped on to the top of the receiver, which has a mounting groove built into it. That’s very easy. You just slide it on and tighten the screws. But, you will need a taller front sight to line up with the rear peep sight. 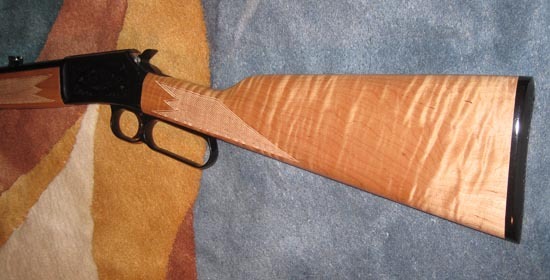 Make sure you use a proper brass punch or non-metallic punch and mallet when removing the dovetailed front sight, so you don’t mar up the finish on the rifle if you slip. You can leave the stock rear sight in, if you want. Or you can remove it (also dovetailed) and replace it with Skinner’s nifty extra rear aperture holder thingy. Enjoyed the article! 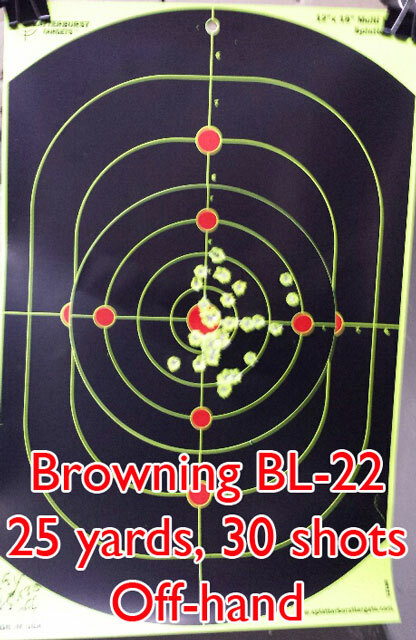 I have Skinner peeps on my Marlin 336 and Henry .22 – and really enjoy the benefit for my older eyes! 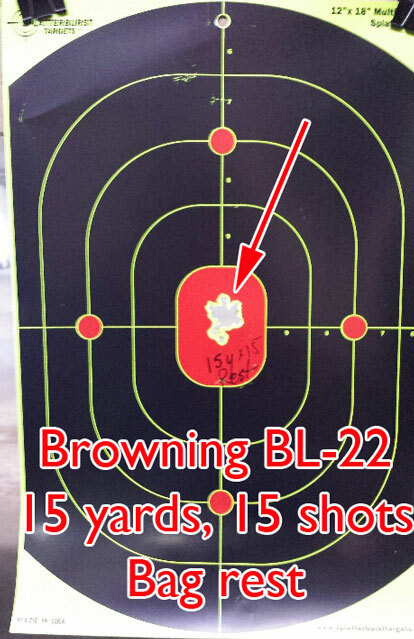 Marlin 30-30: 2-3 inch groups at 50 yds, Henry: 1-2 inch group at 50 yds. What model number did you install? I didn’t see one that clamped over the grooves on their website. Looking to pick a BL-22 soon. Good luck! 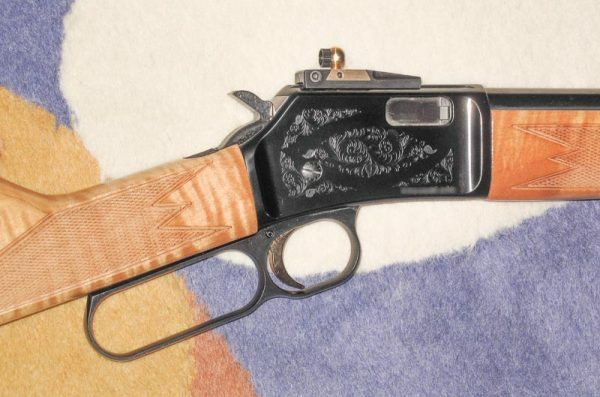 The BL-22 is a sweet little lever-action! Thanks! Picked up the BL-22 yesterday and will be adding the Skinner peep. Sweet! Did you get dark walnut or the maple wood? Walnut. Cabelas sale + mfg rebate = $399 price for Grade 1 rifle. Picked from the 5 they had in stock. Shoots well!